The blissful time challenging the championship course. The 18 holes which produced numerous dramatic scenes. TYARDAGE Home to the “Mynavi ABC Championship”, ABC Golf Club has been chosen to host 5 tournaments until now. Designed by two prominent golf architects, Shoichi Suzuki and Ken Sato, this hillside course requires accurate strategy. From the second floor of the clubhouse, we can have a spectacular panoramic view of our signature hole, the par 5 eighteenth hole and the mountains of Harima. 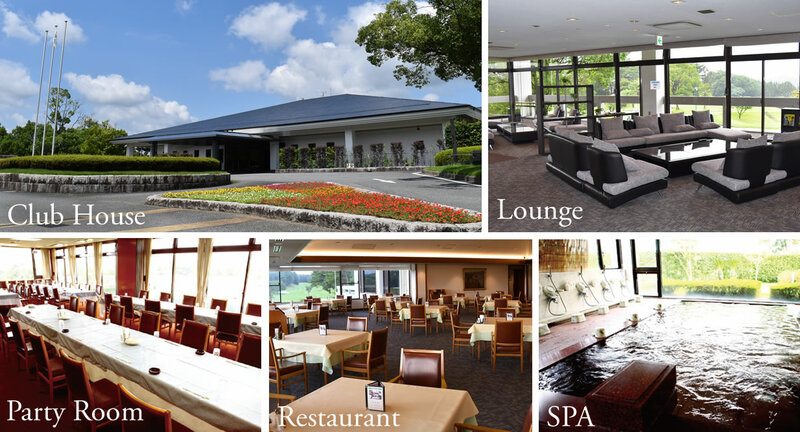 After golf, soak in the natural hot spring, unique to a golf course. We offer you a luxurious club life with complete facilities. 4 kilometers or 5 minutes via car from Hyogo-Tojo I.C.